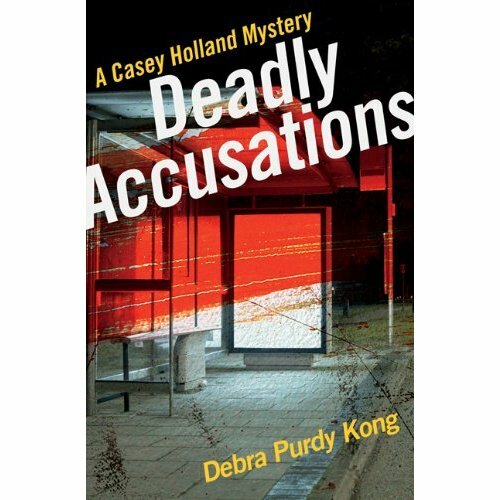 When I began the editing process with my publisher for the first Casey Holland mystery, it soon became clear that there were still things to learn about editing. Since deadlines were looming, I had to learn fast. It proved to be a steep learning curve, but an exhilarating experience. I was learning to analyze my work differently and, among other things, to plot timelines and character relationships on spreadsheets. When I volunteered to become Crime Writers of Canada’s regional Vice President for BC, I knew I’d be taking on tasks I normally didn’t do, like using Skype, and organizing events. The first two events, Word on the Street and Arthur Ellis Night were simple, as I’d taken part in both before and had to arrange only one group of panelists for each event. My limited event planning skills, however, are now being stretched as I find myself creating a whole day of events to celebrate National Crime Month in May. There have been challenges, beginning with tracking down the right people to book a room. Now that I have a room, I’m currently organizing a day of panels and participants. I have four panels, a blue pencil cafe, and about twelve participants. It’s kind of like putting a puzzle together; who goes where and with which topic. I’ve learned that getting help and feedback, especially from those who’ve done it before, is crucial. I’d be lost without them. I have yet to learn how to design adequate posters and flyers. It’s been difficult even for my own work, as this is not my strong suit; however, I have help, and for that I’m grateful. What baffles me is how people plan entire weekend conference? It’s challenging enough just preparing for one day and one track of events, never mind three or more tracks spread over three days! I have a new respect and admiration for conference organizers, but I’m quite sure I don’t want to become one. Anyway, stay tuned for more info about our day-long event on May 5th in Victoria. It might seem counter-intuitive, but the first thing to do upon joining a social media network is NOT to socialize, especially if you're a writer. The first thing to do is to set up your profile and add some content. Several times each week, I get a notice that somebody has started following me on Twitter, has circled me on Google+, or is following me on Pinterest. I go check out their profiles and input, and there is NO profile and their content is either non-existent or not viewable by anyone they haven't approved. If I already know the person, face-to-face or online or by reputation, I return the following/circling. Otherwise, I pass. And I'm easier than a lot of people: many will ignore an empty invitation, even if they know the person who wants to connect. Because there are so many people out there who want to connect and who provide something and someone to connect TO. You wouldn't invite somebody to dinner and, when they arrive hungry, tell them to sit down and wait while you run to the grocery and buy the ingredients for the meal, would you? Well, you might, but you'd have to be really REALLY good friends or a really really REALLY good cook. Also, you'd have to trust that somebody alone in your house, but that's another metaphor. ANYWAY, when you join a new social network, fill out your profile and add a picture. Most people prefer to know what you look like, but people don't always get everything they want. Use your book cover, if you want to. If you can leave a link to your web site, be sure to do so. If you aren't provided a place to put that in, stick it into your About text. On Twitter, retweet other people's tweets, if they're funny or helpful. Make your own statements. Tweet links to web sites. Boost friends. Tweet short reviews of movies, books, tv shows. Jump into conversations. Yesterday, I saw a tweet about a food I like, I commented on it, gave my take on it, was included in the conversation, and gained a new follower. On Google+, you can do the same things by commenting on and sharing other people's posts, tossing out questions and opinions, posting links to websites, uploading your own photos, and linking to your own web posts (as I will this one). If you visit a web site with a G+ button on it, you can click that and add your own comment which will all be shared on Google+. On Pinterest, after you've set up your profile, eliminate any boards you aren't going to use (if you aren't on Pinterest, when you get on, you'll understand what this means) and add some that you will use. Some of mine are My Books, Other People's Books, My pictures, Other People's Photographs, Cute Critters, Foodishness, Furnitures, Awesome Architectural Details. I have a board for each of my novels, where I put covers, trailers, people who could play characters, costumes, and more, but I also have content that people who aren't obsessed with my books would find interesting. THEN, when you have content to offer, but certainly after you have a profile set up, start following people, circling people, following pinboards. You'll gain connections much faster that way. What’s Up with English Curriculums in Canadian High Schools? This morning I heard part of an interesting CBC radio discussion among three well known Canadian publishers about publishing and bookselling. Those who don’t live in Canada might not be aware that keeping Canadian publishing alive has always been an uphill battle. One of the main reasons well-established and respected publishing houses, of all sizes, still exist (although some have fallen) after thirty years is because they’re subsidized by government grants. This has allowed Canadian publishers to publish some truly amazing poets, novelists, and short fiction writers, a number of whom have won major international prizes. So why, the interviewees asked, are high school English curriculums still showcasing writers like Tennessee Williams, and requiring students to study older books like The Chrysalids, To Kill a Mockingbird, and Lord of the Flies (which my son just finished reading this year in Grade 11 English class)? For crying out loud, To Kill a Mockingbird and Lord of the Flies, although fine books, were on my high school reading list 35 years ago! Not only is the required list outdated, it seriously lacks Canadian content, although my daughter did reading Atwood’s The Handmaid’s Tale in IB English 12 six years ago, along with To Kill a Mockingbird and Lord of the Flies. As a Canadian writer, I find the neglect of Canadian authors offensive. The panelists pointed the finger at provincial governments who seemed not to care much about English reading lists, and they should. It’s hard enough to get teenagers to read, so why subject them to dated material? There are wonderful Canadian science fiction, fantasy, and mystery writers, humorists, novelists, and so forth to entice kids to want to read again. Why not give students a choice but with more current material? Publishers and authors need readers, school curriculums need an overhaul. It’s a win-win, as far as I’m concerned. Of course, it all comes down to money, doesn’t it? Pulling out those same books year after year is a lot cheaper than buying new. Still, I’d like to see someone place a stack of Canadian books under the noses of decision-makers, make them do their homework, and then ask them how much they value Canadian literacy and Canadian culture? 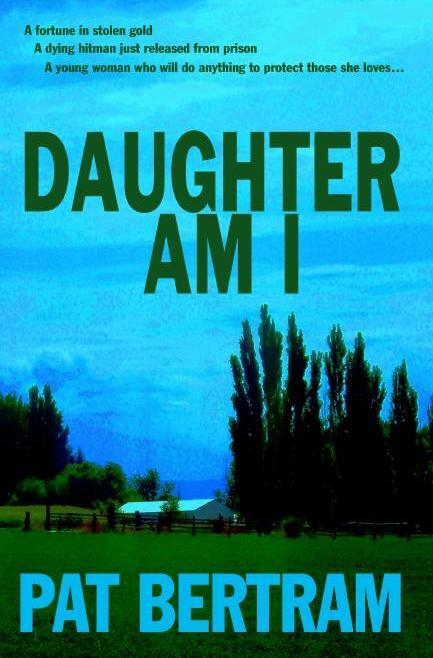 Daughter Am I: When twenty-five-year-old Mary Stuart learns she inherited a farm from her recently murdered grandparents -- grandparents her father claimed had died before she was born -- she becomes obsessed with finding out who they were and why someone wanted them dead. Along the way she accumulates a crew of feisty octogenarians -- former gangsters and friends of her grandfather. She meets and falls in love Tim Olson, whose grandfather shared a deadly secret with her great-grandfather. Now Mary and Tim need to stay one step ahead of the killer who is desperate to dig up that secret. More info on Cheryl Kaye Tardif's blog. SHAMROCKS-N-SIRENS ... AN IRISH EVENT!!! Dixon Bennett Rice is a novelist living in Kalispell, Montana, deep in the majesty of the Rocky Mountains. Besides eight years in Army Intelligence, he’s been a funeral director, investigator, office manager, payroll manager, shipping clerk, insurance agent, and retail salesman. He’s jumped out of perfectly good aircraft. He’s gone into jail as a literacy volunteer, and also not so voluntarily. Dixon’s been writing part-time for a number of years, and full-time since 2010. His father was a Naval officer and Dixon was born on Kwajalein Atoll in the Marshall Islands. He has siblings who were born in Baltimore MD, Columbus OH, Norfolk VA and Fairfax VA. Like most military families, they moved around a lot. Dixon went to high school in Mercer Island, a Seattle suburb, and got a BA in Political Science at the University of Puget Sound in Tacoma WA. At one time he had aspirations of going to law school, but decided to spare the planet one additional attorney. He has always been a storyteller, and entertained his children by spinning bedtime tales. They encouraged him to write them down, and some were published in various local and regional magazines. Dixon also started writing reviews of children’s literature, and edited a literary magazine for the Authors of the Flathead in Kalispell. He’s past president of the Authors of the Flathead, and has served as chairman of the Annual Flathead River Writers Conference. He eventually switched from children’s lit to writing thrillers, which caused him to totally lose control of his writing addiction. Dixon and his wife Mitzi, who teaches business subjects in high school, have raised four children, who are currently scattered from Seattle to Fargo to Kosovo. They are wonderful kids, but not writers. Dixon isn’t actively looking to trade his children for a more literary variety, but will consider all offers. He’s been active in Toastmasters, soccer refereeing and coaching, Rotary’s international charities, world hunger charities, the American Cancer Society, and recently donated his 100th unit of blood for the local Red Cross. Dixon has won statewide speech competitions in both humorous and dramatic speaking. I wondered, “What if a young, likable guy ‘accidentally’ became a serial killer?” I set up a situation in THE ASSASSINS CLUB where Tyler Goode gets targeted by a redneck bully and his squad of younger, equally brutal brother in the Flathead Valley of Montana. (And don’t forget Dad.) Each time Ty kills in order to survive, he feels he’s performed a community service – and he gets one helluva rush. Before long, it’s become a habit he can’t shake. The main plot came to me, pretty much fully realized, during a 15-hour car drive after dropping off my son at college. Then it took two years to weave in some interesting subplots, flesh out the characters, and please my critique group. Heroes are easy to write, in my opinion – so easy that they often become cardboard cutout characters. I enjoy the unbalanced, unreliable characters. In THE ASSASSINS CLUB, there is a second serial killer who will collide with Ty in the final chapter, a 30ish man who thinks he is Jesus. His sections are written entirely in present tense, because that’s all he knows. The voices in his head raise such a ruckus that he can’t remember the past, nor can he look forward to the future. He’s walking up the West Coast, killing when the mood strikes him, going where his voices direct him. If Jesus tells you it’s Monday, you’d better check a calendar. I love tree-books at home, but nothing beats my Kindle when I’m on the road. I have written another Montana thriller, and puttered away with it for a decade, trying to solve plot problems caused by modern police technology. 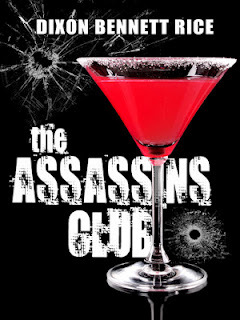 I really enjoyed writing THE ASSASSINS CLUB in the 1970s, and realized that moving my work-in-progress back to that same era would make the plot problems vanish. So I’m on my final rewrite of MONTANA IS BURNING and hope to have it published this summer. I am continually surprised by the unexpected actions of my characters. On my 15-hour car trip, Ty was already very real to me, but the minor characters around him were pretty vague. The book concept really caught fire when two deputy sheriffs approached the protagonist and said, “We know you’re killing people, Ty.” He thought, “Uh-oh, here come the handcuffs.” Instead, one of the deputies said, “We want to get in on it.” The addition of two law enforcement officers to Ty’s pastime creates interesting problems. In further books in this series, the ‘club’ will continue to expand, with continual new complications. One of the things I love about the writing community is how helpful people are, even to clueless newbies. However, there is always a small number of folks in any endeavor who take job in dragging other people down. Some friends of mine have receive awful reviews from people who never even bothered to read the reviewed book. I never would have survived college if I hadn’t learned how to make spaghetti sauce and barbecue chicken. My wife and I have a deal – if one of us cooks, the other one cleans up. I try to cook whenever possible. We all have an internal critic in the back of our head, whispering that “this is worst crap that’s ever been written – let’s go for a jog instead.” I’ve learned that if I get up at 5 am and head down to a local coffee shop, I can get hours of work done before my critic wakes up. And if I’m on a good writing roll, I can just ignore his negative remarks. I’m about three-fourths Irish, and every Irishman knows that his most precious asset is the “Luck O’the Irish.” It’s amazing the Emerald Isle survived the Potato Famine, centuries of British mistreatment, and our own fondness for fermented and distilled beverages of every kind. There must be a reservoir of good luck to account for our very existence. 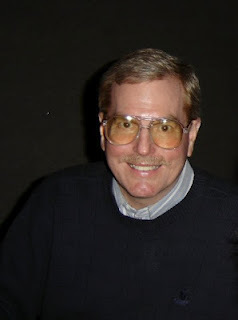 My daily blog on the writing life, Wredheaded Writer, can be found at http://wredhead.blogspot.com/ I plan a second blog aimed at fervent readers such as myself, but haven’t yet gotten it off the ground. The Kindle link for my e-book is http://tinyurl.com/7fav44l and you can find me on Facebook at http://tinyurl.com/87hkkoz or search for plain old Dixon Rice. This week’s hot topic in the publishing world is that the U.S. Department of Justice has told Apple and five of the big six publishers that they are facing lawsuits for colluding to raise the price of ebooks. The complaint is that Apple and the publishers are making books more expensive for consumers by altering the way retail prices are set. Whether the lawsuit proceeds remains to be seen, however the outcome could have a big impact on Barnes & Noble. And you think you have trouble finding the right price point for your ebooks? Sheesh! Things seem to get more complicated and tumultuous every month, and I find myself asking, do they really need to be? Jennifer Chase, Author of ‘Dark Mind’. Jennifer Chase holds a bachelor degree in police forensics and a master’s in criminology. She’s a member of the International Association of Forensic Criminologists. 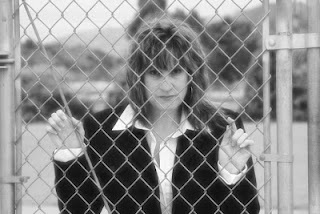 She is an award-winning author, freelance writer, and a criminologist. She has authored four crime fiction, thriller novels and a non-fiction book screenwriting book. Currently, she resides in California where she is at work on her next book. Today, Jennifer Case discusses her book, 'Dark Mind'. 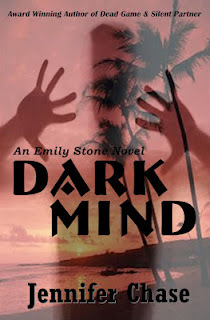 Dark Mind takes readers on a crime adventure with vigilante detective Emily Stone who hunts serial killers and child abductors covertly under the radar. She shadows police investigations and secretly submits all of her carefully compiled evidence to the detective(s) in charge via an untraceable email. The newest case takes her to the beautiful island of Kauai where she’s put to the ultimate test of her profiling and investigative skills of tracking a brutal, sadistic serial killer deep into the jungles. I spent one to two months creating an outline, which ultimately becomes my first choppy draft. From that point, it took another two to four months of writing and rewrites to complete the book. It takes an average of six months to write one of my crime thrillers. That’s easy! I enjoyed creating the main character of Emily Stone for an ongoing series. It was a writing process for quite some time before I decided to introduce her to readers. She’s definitely tougher and smarter than I am, but I wanted to make her wonderfully flawed with her mission to find serial killers. I write mostly in my home office. It’s quiet and I find that I can get more writing done in my scheduled blocks of time rather than in a public place like a coffee bar. In the summer months, sometimes I take my laptop or notebook outdoors for fresh air and writing. A year ago, I would have definitely said paperback. For the most part, I still prefer them. I bought an Amazon Kindle last year and I really love the ease and less clutter of it. So I’m torn at times, but for reading entertainment I choose an ebook and for my more technical and non-fiction books I prefer paper. Who told you? You bet I write in my PJs in the mornings when I don’t have appointments or important errands to run. Barefoot and in my PJs is like the comfort food of writing. The more comfortable, flannel with silly prints on them the better. Anyone have a line on adult flannel SpongeBob pajamas? I’ve never really enjoyed cooking as a daily task, but recently I’ve found out that I don’t tolerate wheat or gluten well. I’m not diagnosed with the related disease, but now without it I’m feeling better with more energy. Without pastas and breads I’d go completely crazy, so I’ve been in the kitchen cooking more and I’ve found that I do enjoy it once I’ve made peace with it. Ice cream is my sweet vice. My favorite flavors are chocolate chip and butter pecan tied in first place. Yes, my life wouldn’t be complete without my four-legged buddies. I have two Labrador retrievers (would love more) and two cats. My labs keep me balanced and make sure that I take plenty of much needed writing breaks. Since writing about serial killers can be dark at times, my dogs lighten things up with fun and high energy. I love this question! There are so many wonderful actors out there, but my dream players would be… Angelina Jolie as Emily Stone, Johnny Depp as Rick Lopez, Matthew McConaughey as Jordan Smith, Hey, remember I did say dream actors. First, I was going to say a walking stick for protection against bad guys on the way home from the party, but I’d have to say a rainbow because everything in life gets better with a rainbow. Bless the Irish! Introduction to "Grief: The Great Yearning"
Grief: The Great Yearning, the book about my first year of grief has finally been published. I wrote this article during the summer following my life mate/soul mate's death, long before I ever knew my writings about grief would be published, but with the addition of the last paragraph, it made the perfect introduction to the book. Grief: The Great Yearning is available from Amazon, Second Wind Publishing, and in various ebook formats from Smashwords. 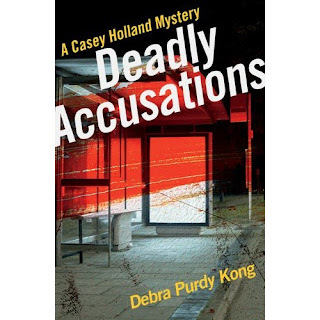 This week, my second Casey Holland mystery, Deadly Accusations, is not only available in stores, but will be available on amazon on March 6th, in print for now. The Kindle edition will emerge down the road. So, Casey is being unleashed on the world once more, and yes, I feel very fortunate. This is a book I worked on a long time, and my writers’ group painstakingly critiqued every chapter over a year and a half. I know that a lot of authors jump up and down and shout halleluiah from the rooftops when their book is published, but that’s not my style. Not that I actually adopted a style, I just kind of fell into it. See, whenever one of my novels is published I’m overcome with a sense of relief followed by a philosophical bent on the meaning of it all, and how that meaning is managing to weave itself into my life’s great plan. Not that I have a great plan, but I’m a spiritual person and believe that someone out there has concocted one for me. Whether that being is high-fiving or morosely shaking his, or her, head over this latest endeavor isn’t quite clear to me. Although, publication does feel right, so that’s probably a good sign. As mentioned a couple weeks ago, I have a book launch scheduled for the last Saturday of March, and I’ll be reading at La Fontanna Cafe on Tues., March 20th. Thus beings the promotional part of my life. It’s going to be an interesting couple of months, culminating in attendance at the Bloody Words Crime writing conference in Toronto from June 1 to 3rd. I don’t want to take up space listing events here, but if anyone wants more information, you can contact me at debra_kong@telus.net and they can be found through my Facebook page, and here we go.